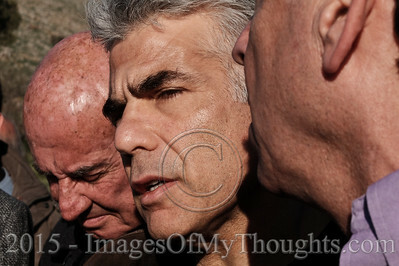 Former Minister of Finance and Head of Yesh Atid Party campaigning for reelection in March 2015, YAIR LAPID (C), and former Minister of Science, Technology and Space, YAAKOV PERRY (L), tour the Golan Heights and the location of a Hezbollah missile attack on an IDF convoy January 28 2015, in which two IDF soldiers were killed and several injured. 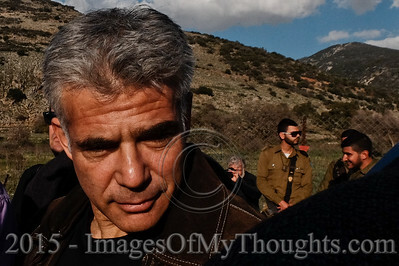 Former Minister of Finance and Head of Yesh Atid Party campaigning for reelection in March 2015, YAIR LAPID (R), tours the Golan Heights and the location of a Hezbollah missile attack on an IDF convoy January 28 2015, in which two IDF soldiers were killed and several injured. 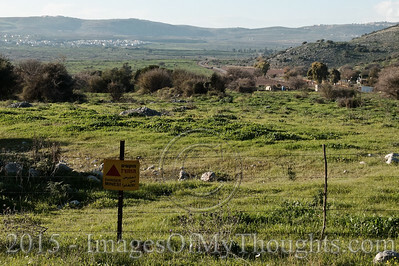 A sign warns of land mines in a field adjacent to the Lebanese border, the Syrian Alawite village of Ghajar (far left) and the IDF checkpoint at which a Hezbollah missile attack on an IDF convoy January 28 2015 killed two IDF soldiers and injured several others (right). 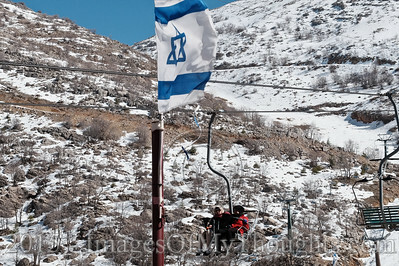 Israel maintains a high level of alert while allowing area residents to return to routine. 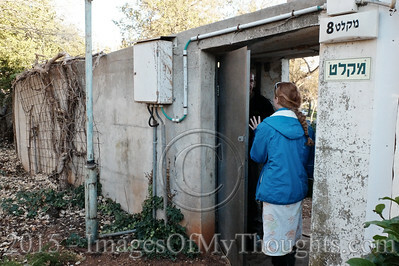 A woman stands at the entrance to underground shelter number 8 in Kibbutz Maayan Baruch located just 350 meters from the Lebanese border. 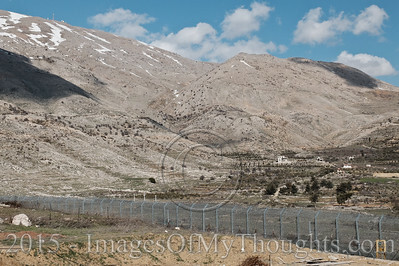 A tense quiet is under effect on Israel's northern borders with Syria and Lebanon following a Hezbollah missile attack on an IDF convoy January 28th, 2015, in which two IDF soldiers were killed and several injured. 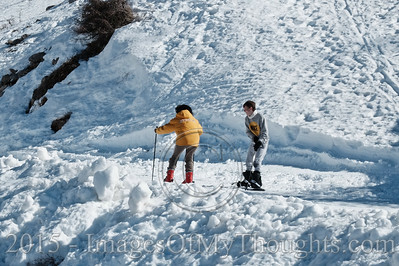 Israel maintains a high level of alert while allowing area residents to return to routine. 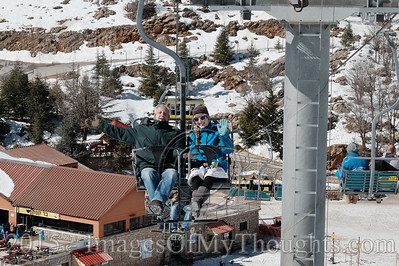 Visitors slowly return to the Mount Hermon Ski Resort after a total evacuation due to Hezbollah rocket fire hitting the area and a missile attack on an IDF convoy January 28th 2015, in which two IDF soldiers were killed and several injured. 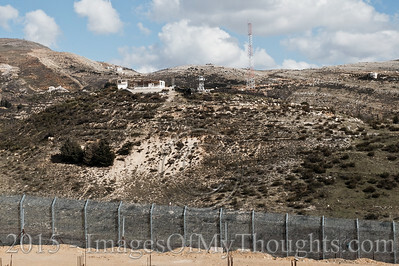 Israel maintains a high level of alert while allowing area residents to return to routine. 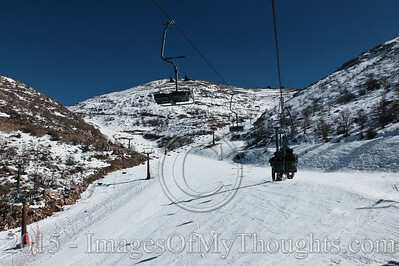 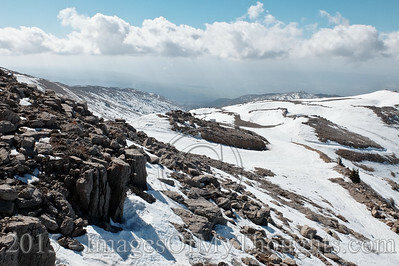 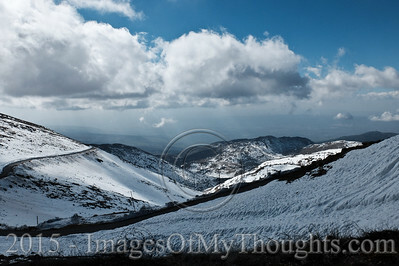 The IDF secures the Mount Hermon Ski Resort which serves as an important strategic military vantage point. 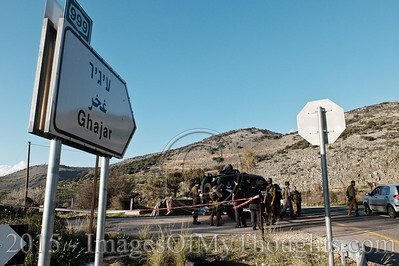 A tense quiet is under effect on Israel's northern borders with Syria and Lebanon following a Hizbullah missile attack on an IDF convoy January 28th, 2015, in which two IDF soldiers were killed and several injured. 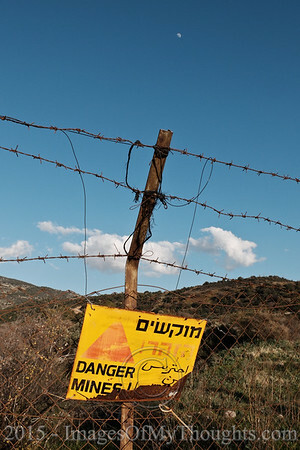 Israel maintains a high level of alert while allowing area residents to return to routine. 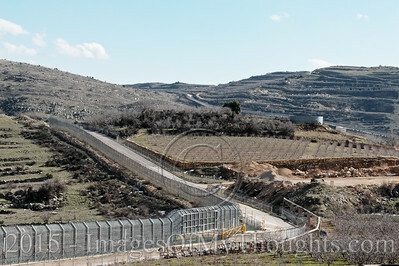 A border fence serves to prevent infiltration from Syria into Israel adjacent to the Druze village of Majdal Shams in the Golan Heights. 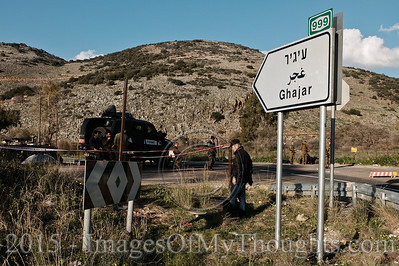 A tense quiet is under effect on Israel's northern borders with Syria and Lebanon following a Hizbullah missile attack on an IDF convoy January 28th, 2015, in which two IDF soldiers were killed and several injured. 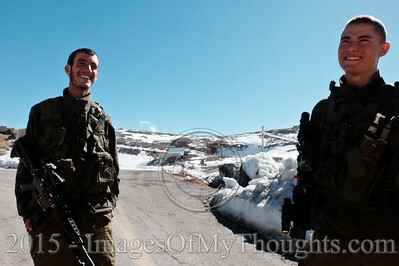 Israel maintains a high level of alert while allowing area residents to return to routine. 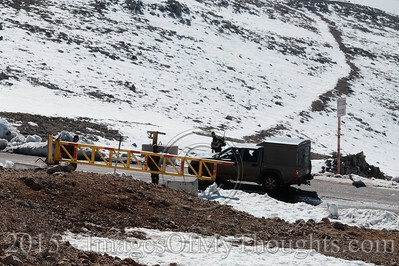 Israel Border Police close off the road leading to the Lebanese border, the Alawite village of Ghajar and the IDF checkpoint at which a Hezbollah missile attack on an IDF convoy, January 28 2015, killed two IDF soldiers and injured several others. 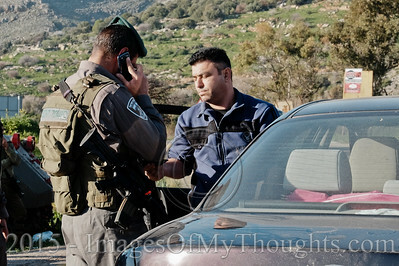 Israel maintains a high level of alert while allowing area residents to return to routine. 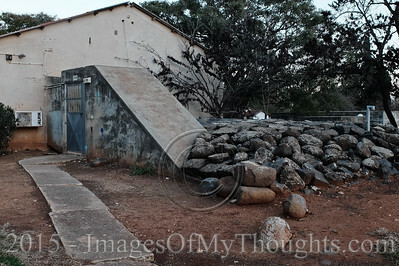 Rocks serve for additional fortification and to dissolve potential blasts at underground shelter number 5 in Kibbutz Maayan Baruch, located just 350 meters from the Lebanese border. 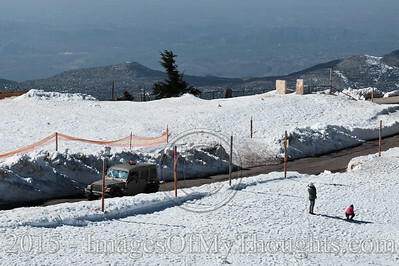 A tense quiet is under effect on Israel's northern borders with Syria and Lebanon following a Hezbollah missile attack on an IDF convoy, January 28 2015, in which two IDF soldiers were killed and several injured. 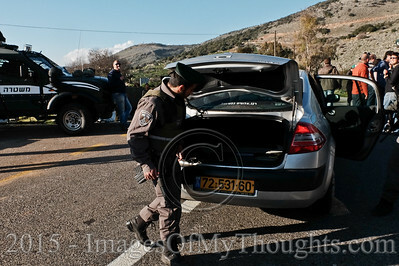 Israel maintains a high level of alert while allowing area residents to return to routine. 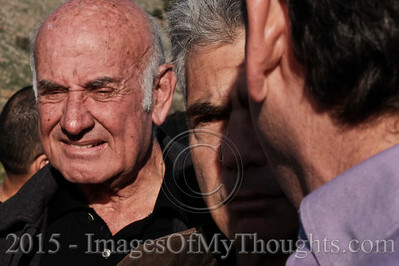 Former Minister of Finance and Head of Yesh Atid Party campaigning for reelection in March 2015, YAIR LAPID (R), and former Minister of Science, Technology and Space, YAAKOV PERRY (C), tour the Golan Heights and the location of a Hezbollah missile attack on an IDF convoy January 28 2015, in which two IDF soldiers were killed and several injured. 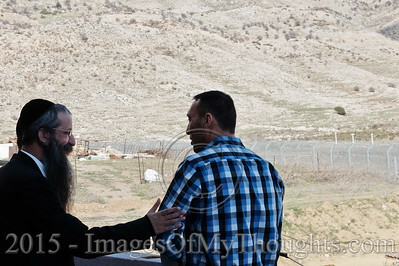 A religious Jewish man (L) and a Druze resident (R) look over the border fence which serves to prevent infiltration from Syria into Israel adjacent to the Druze village of Majdal Shams in the Golan Heights. 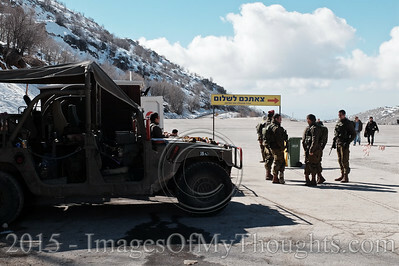 A tense quiet is under effect on Israel's northern borders with Syria and Lebanon following a Hizbullah missile attack on an IDF convoy January 28th, 2015, in which two IDF soldiers were killed and several injured. 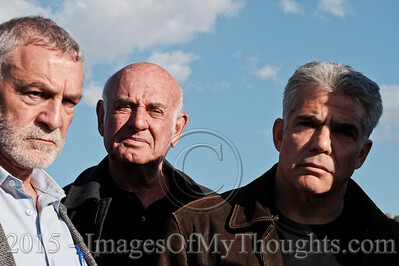 Israel maintains a high level of alert while allowing area residents to return to routine. 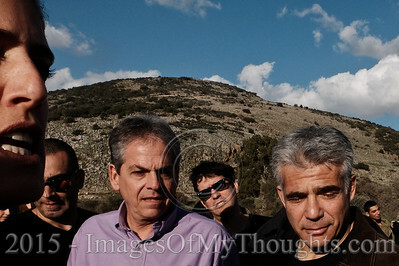 Former Minister of Finance and Head of Yesh Atid Party campaigning for reelection in March 2015, YAIR LAPID, tours the Golan Heights and the location of a Hezbollah missile attack on an IDF convoy January 28 2015, in which two IDF soldiers were killed and several injured. 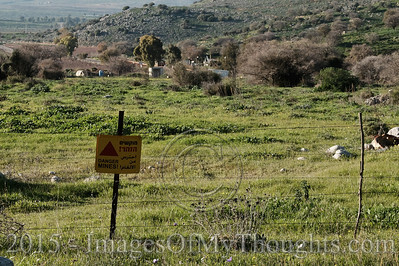 A sign warns of land mines in a field adjacent to the Lebanese border, the Syrian Alawite village of Ghajar and the IDF checkpoint at which a Hezbollah missile attack on an IDF convoy January 28 2015 killed two IDF soldiers and injured several others. 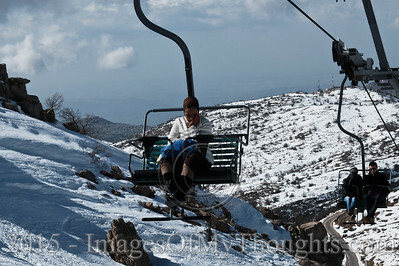 Israel maintains a high level of alert while allowing area residents to return to routine.